Filipinos love grilled and sizzling dishes, in fact if I can remember there are heaps of restaurants back in my home country that offer their dishes on a sizzling plate from classic dishes like Sisig, beef steaks, grilled chicken, pork chops, fish and this dish Sizzling Teriyaki Squid. 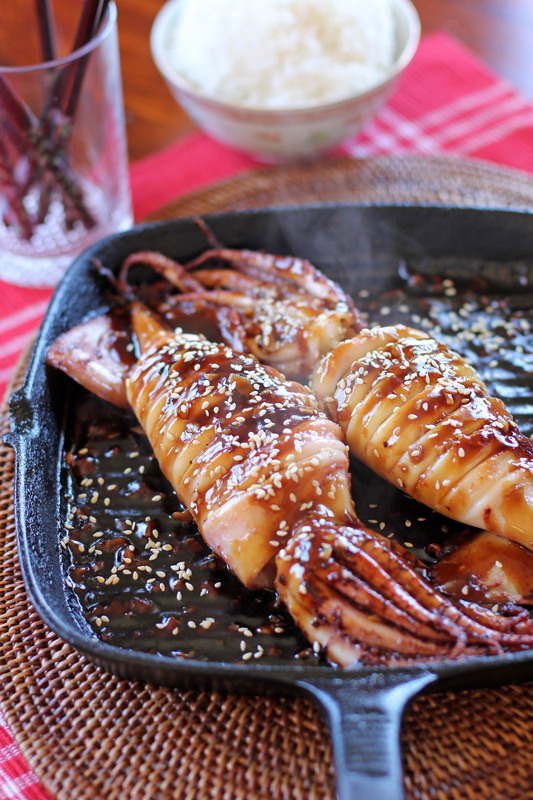 A simple dish made out of grilled squid served on a rich teriyaki sauce, it can be enjoyed as a mains or even matched with an ice cold beer as a side dish. Prepare a sizzling plate by placing it on stove top on high heat. Cook squid in a grill for 2-3 minutes on each side. Remove sizzling plate from the stove top. Place squid on sizzling plate then pour sauce on top. Sprinkle toasted sesame seeds then serve while sizzling hot. Oh my: can’t wait to get to a fish market where I can buy the whole ‘box and dice’! I love squid but have not cooked it whole like this and I simply cannot understand why!!! Can’t WAIT to make!! Look at the food elegance on the plate! And I can taste it way ahead . . . 🙂 ! We love teriyaki salmon, but have never considered it with squid. Fab idea, squid now on shopping list. I haven’t had squid for quite a while! This recipe made me crave for squid! 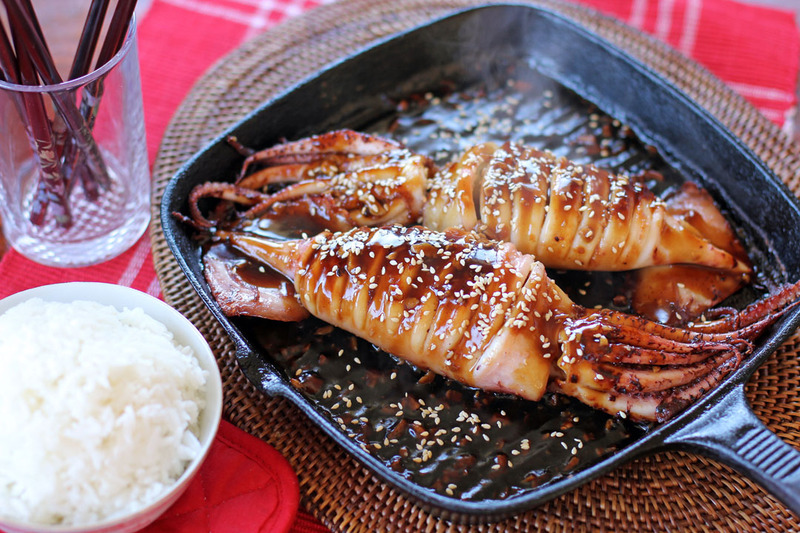 Teriyaki sauce can be so versatile and once again you’ve proven it’s versatility by making a seafood (squid) recipe. Yum! Love the action shot! I really love eating sizzling teriyaki squid. Although we use squid stuffed with chopped tomatoes and onions, it helps to bring out all the flavors from the sauce to the squid.